TNK is a precisionmetal parts manufacturer and our specialty is ‘Ultraprecision processing’. Our Micro Shaft is top-class high quality and production even in the world and is utilized in various business-world, for example: Auto industry, Home appliances industry and Industrial equipment. We have an integrated production line, cutting, turning, lathing, grinding and heat treatment in order to produce every production or material. We also have original grinding machine which has high precision technique. TNK supports for just one sample, high-mix low-volume production and mass-production more than 1,000,000 pcs/month.We propose and provide the advanced high precision parts in a short delivery and high quality. We have a line only for sample product/small quantity in our factory and the flexibility to accommodate a customer’s requirement. We can produce the high quality parts by mass-production in not only TSUKUBA Plant but also our oversea factory. TNK has all advanced equipment and technological strength for system of production from raw-material to finished products in only our factory. The high quality manufacturing is supported by our skill that we have many years of metal processing and our fulfilling equipment for cutting, turning, lathing, plasticity, forming, heat treatment, surface treatment etc. TNK offers stable quality product by our consistent supply system under the strict production management system. 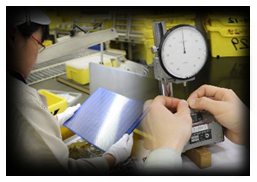 TNK has various equipment in TSUKUBA Plant for stable supply of high quality products. We are developing our own machines for special processing that we can’t be realized by general machine. TNK attends to your every need by our own machines. We accept all types of material from general material to difficult-to-cut material for example stainless steel, heat resistant steel, tool steel. We have abundance of the achievements for produce iron and steel, non-ferrous, organic, inorganic, composite, original etc. and have also excellent precision processing technologies of a difficult-to-cut material, hastelloy, SUH660, ceramic, tungsten, silicon etc.